This Baton Rouge resident's odyssey shows that bumps in the road can't stop the committed enthusiast. Every car nut can pinpoint the day they fell in love with the car of their dreams. 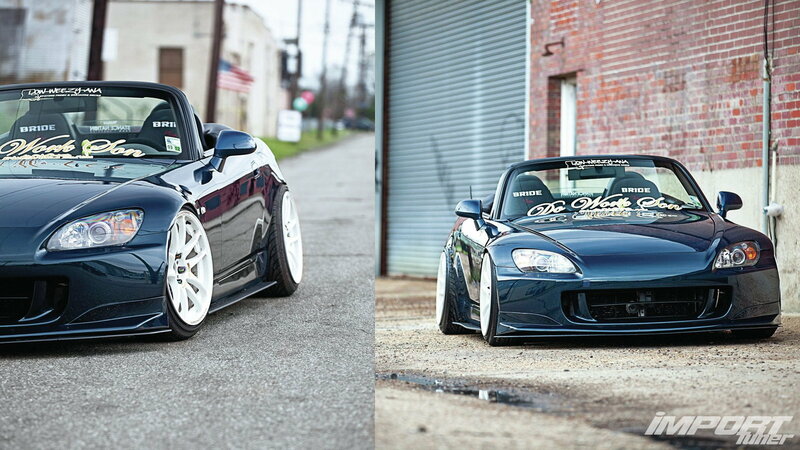 For Rami Qasem of Baton Rouge, Louisiana, it was the day his friend dropped by to show off his new S2000. Said friend urged Rami to take a turn behind the wheel—but at first, Rami was hesitant. The S2000 was smaller than any car he'd ever driven, including the '98 Mazda 626 and duo of '94 Civics he'd owned, and at six feet tall and 250lbs he wasn't sure he'd be comfortable in the convertible. Well, one drive was all it took and he was hooked. 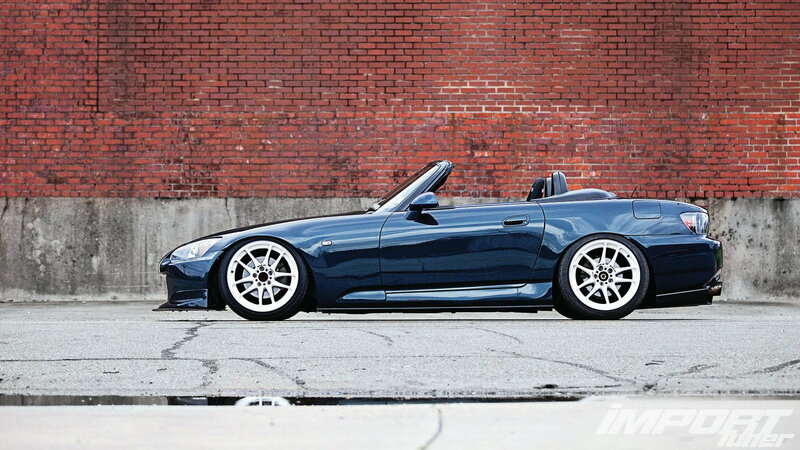 Rami explains: "The S2000 didn't seem practical at all for me but once I sat in it, it hugged me, and I drove it around, and immediately fell in love." The next order of business was to find one of his own, and after some searching, he came up with a 2003 in need of some love. >>Join the polarizing conversation on Stance right here in S2Ki.com. First up in the loving care department was picking a path. "My true inspiration came from an S2000 in Georgia most know as Leng's AP2," Rami relates. That car's strong points included tasteful paintwork, massive Work Meister wheels, and a rear diffuser from J's Racing, but what really caught Rami's eye was the stance: "The fitment of it is what really took over me, and I was quickly steered toward the 'hellaflush' route." Naturally, he started with the wheels, and he chose 18x9.5 +27 matte black NT03+M Enkeis at all four corners. That's where he ran into his first snag. "Trying to fit these was a pain especially because no one in Louisiana we knew was into the fitment scene," Rami shared. But, like any enthusiast worth his salt, he found a way. Through a referral, he found Sumo Dinh of SuWorks Auto who got 225/40-18 Falken Ziex tires stretched over Rami's rims. Like the saying goes, be careful what you wish for because you just might get it, and Rami wasn't happy with how far the Falkens stuck out from the fenders. Another referral put him in touch with Chad Jackson who tweaked the camber and alignment to bring the lines into sync with Rami's vision. Having found a tech who he could work with, Rami decided to experiment a bit and swapped the Enkeis out for a set of trick SSR Professor SP1s. 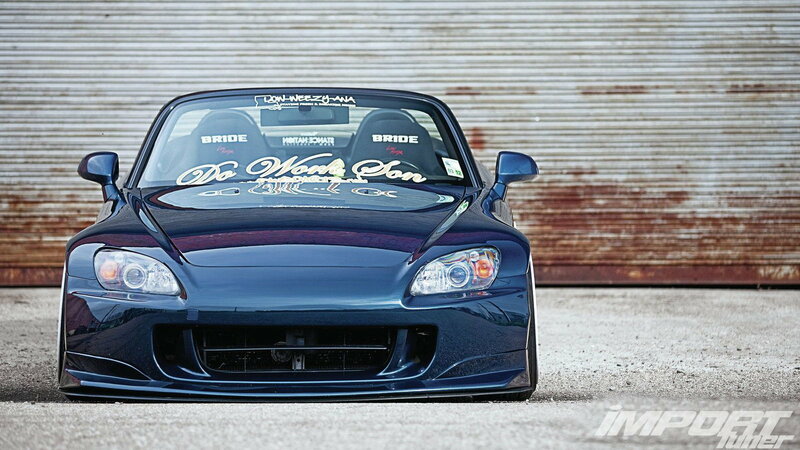 Rami and his S2000 lived happily ever after, end of the story, right? Not so fast. At first, things were cool, he went to shows and enjoyed driving the fruits of his labor. But, as happens to the best of us, he grew restless. The turning point was in 2010 at the Import Alliance show in Nashville. "This event made me realize I needed to step my game up tremendously. Everything out there was executed so nicely and I was able to see many builds that intrigued me." In case he needed a little more incentive, he wound up hitting something in the road on the 10-hour road trip back from that show, tearing the AP2 bumper he was running clear off his car. Since he was already due for some bodywork, Rami took the plunge and looked for someone to mod the fenders so he could run whatever wheel/tire combinations he wanted. His search brought him to Unique Customs and Collision in Baton Roug, and body man Khai Dang. Dang flared and reinforced the front fenders, flared the rears, and resprayed the car the 2010 Toyota Dark Teal Pearl you see here. With the car now reflecting Rami's goal, he started showing it with a new sense of satisfaction, winning Best S2000 at Houston's Import Reactor event. End of story this time, right? Not quite. It was deja vu all over again when he hit a dip in the road on the way back from the event, hard enough to split his freshly redone fenders. Since Rami had blown his budget on the recent bodywork changes, it was time for some hard choices. This meant goodbye to his beautiful SP1s to free up enough cash to get his S2000 on the road again. Where there's money there's opportunity, and it came knocking in the form of new coilovers and a set of white Work Emotion wheels. The Works are sized similarly to the SP1s, and Rami was pleasantly surprised with the new color scheme. "Once I put 'em on I immediately knew I made a great choice," Rami enthused. In fact, it's Rami's enthusiasm that has kept this project on track, and his S2000 on the road, despite setbacks. "All I know is that this car has been through a bunch of ups and downs and has brought me along with it. I can tell you that we have had way more ups though, and I have enjoyed everything that we have been through thus far." We could all learn a thing or two about perseverance from this student of the stance.